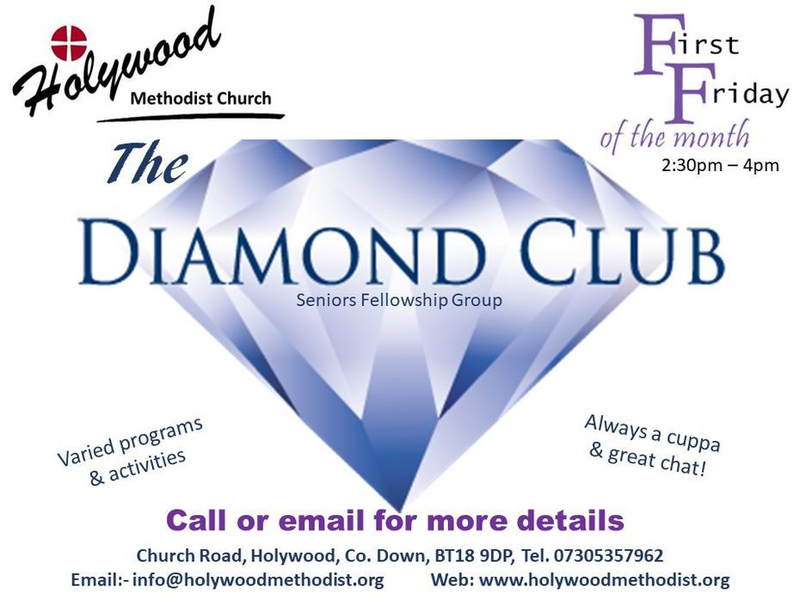 The Diamond Club meet on the first Friday of the month and have a varied program - sometimes no program! Everyone is happy to meet over a cuppa and buns, to chat for the afternoon or play a game. We normally meet from 2:30pm and finish around 4pm. The club has around 30 members, but usually 14-16 people would be in attendance. We normally collect a £1 donation at our gatherings and this is shared between the church & a designated charity.